Belton police said one person is dead after a shooting early Monday morning. Police, the fire department and EMS were send to the 200 block of Manor Drive around 2 a.m. on reports of a possible shooting. When they got the the scene, officers found a man who was unresponsive. Medics confirmed he was dead. KANSAS CITY, Mo. 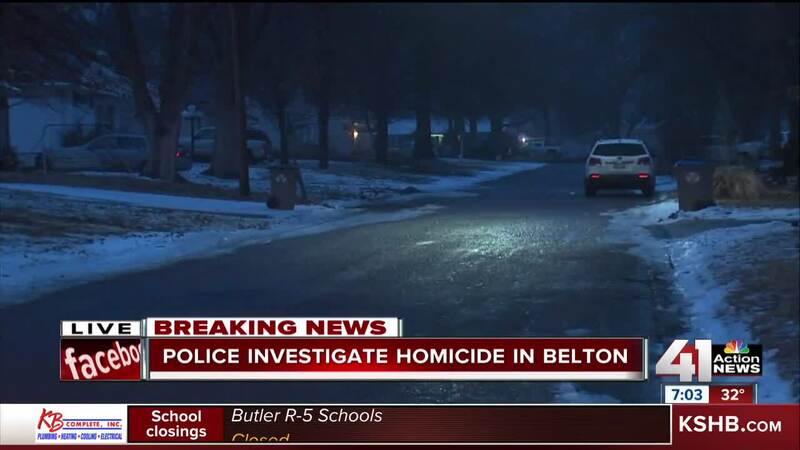 — Belton police said one person is dead after a shooting early Monday morning. Police, the fire department and EMS were send to the 200 block of Manor Drive around 2 a.m. on reports of a possible shooting. When they got the the scene, officers found a man who was unresponsive. Medics confirmed he was dead. A witness told police they saw a gray sedan leaving the area, heading southbound, shortly after hearing the gunshots. Police said they are not releasing the victim’s identity yet. Anyone with information is asked to call Belton police at 816-331-5522.